If you create an account using this link, you will get a coupon for $10 off your purchase, and once your order ships, I get a $10 credit, too. (Thanks in advance. ) I have used Erin’s wall calendar in the past, and know people who have and love the Life Planner. Her products are really high quality and colorful and fun! What’s not to love? Alright, onto time management tool number 2. Okay…I know what you’re thinking: Aby has gone off-topic. Wasn’t this a post about time management tools? Yep, it sure is a post about time management tools! So if you haven’t heard the news, Legos can help you become a better time manager. If you struggle with managing your time, or ever end up at the end of the day wondering “where did the day go” it could be because time isn’t concrete. You can’t touch it, hold it, or see it, which makes it very difficult to manage. But, believe it or not, Legos can help! This blog post explains how How To Use Legos To Manage Your Time Better. This post has me kicking myself for donating all of our Legos…but I have been inspired to set my timer for 25 minute increments throughout my desk days. It’s incredible how much more focused I am with a timer on! I was really grateful for the reminder to turn my timer back on again! One of the participants in simplify 101’s member area posted about Bullet Journal task management system, and the idea sort of took off like a wildfire in my It’s About Time Class. Here’s what the website says about this system: For the list-makers, the note-takers, the Post-It note pilots, the track-keepers, and the dabbling doodlers. Bullet journal is for those who feel there are few platforms as powerful as the blank paper page. It’s an analog system for the digital age that will help you organize the present, record the past, and plan for the future. And I would add, this is a terrific excuse to invest in a Moleskine notebook. Sound intriguing? Go here to learn more about the Bullet Journal. And go here to learn more about the Moleskine Notebook. What tools do you use to manage your time? Do you sometimes feel the need to mix it up and try a new planner, or list keeping system (like someone else we know)? Or do you have a system you love and see no need to try something new? I’d love to hear from you! ooooh, that Bullet Journal idea looks great! Going to check it out. I was just looking at getting this last night. Think I am going to take the plunge. I definitely need a better system for myself. 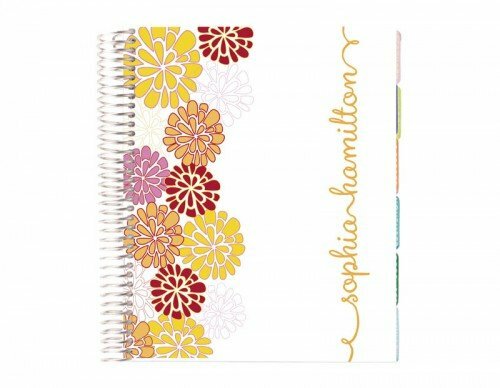 The Erin Condren planner that is. I just pinned the bullet journal page. It’s similar to what I already do but there are some tweaks that I think will be really helpful. Thanks for sharing! Thanks for your comments! Would love to hear what you all think of these systems if you give them a try! Thanks for sharing! Love the Bullet Journal Task Tracking System!!!! I’m gonna start it now!! I’ve been using the bullet journal system for 5 months and I really like it. Good for work (especially if you have to charge your time across multiple cost centers) and personal life issues. I have veered off other systems in less time so think this is one that will stick. Awesome! Thanks for sharing this Mary! I do something similiar to the bullet journal but I use it on my Orange Circle Studio Weekly Desk Pad. Anything not completed is transferred to the next week. Works great! Nothing organizes you better than a calendar/journal you love!! I carry my Orange Circle Studio Calendar with me always too. Ooh – just saw this comment. I hadn’t seen the Orange Circle Studio planners before. I likey – a lot! love the bullet planner concept ~ had been using something similar with my existing dodo pad planner, but loved the idea of indexing and creating topics. may work on this. right now I’m trying out a ‘to do’ system from becky higgins (not sure it is pubic on her blog yet as she shared it in a class chat) ~ her to do list is so simple. a lined spiral bound note book. Oooh, Hannah – can you share any tips about this spiral notebook method? I used to use a simple spiral notebook for to-do’s years ago, and would love to learn how others are doing it! Aby, have you seen the Seasons planner pad? It might not be big enough for you, but I switched to this one after trying the smaller size last year. It is much prettier! I love the bullet journal idea! I desperately need a place/system for tracking all the different things going on around here anymore. Going to try this idea! Thanks for the suggestion Mary. I’ll check it out. I LOVE my bullet journal! It has been the most amazing addition to my life. It has become my brain. My husband watched me use it for several months and started using it as well. I cannot recommend it more highly. Use it–you will become a believer! Thanks Christi! Good to know. I may just have to bite the bullet (journal) and give it a try. I recently started using SpringPad and downloaded your forms, etc. I just learned that SpringPad will be shutting down on June 25. Do you have a recommendation for an alternate application that can be used across multiple devices (iPad, PC, Android, etc.)? Such a bummer about SpringPad isn’t it? The only thing I know of that is comparable is Evernote and SpringPad is offering a migration tool so you can transfer your data right to Evernote. I think that would be the easiest way to go and they have Evernote for the Mac, Web, windows desktop, windows phone, iPad, iPhone, and Android. So it seems like a good choice. Hello Aby, I love reading your tips and based on your recommendation, I purchased and have been using the planner pad for the past few years. I love how it allows me to “brain dump” my ideas and “to do’s” into categories. I agree they aren’t the prettiest, though I have always had fun making them more personalized. Here are photos of the last two years and now 2015’s planner. I love making each one different and have a stretchy band around it to keep it secure. I personally appreciate having the larger areas of project sections at the top of each page on the planner pad vs. Erin Condren’s (even though I think they are beautiful!!) The green planner pad I just received has a less glaring page typeset which helps my writing stand out better! Thanks Jacqueline. I’m so glad the Planner Pad is working well for you! I wonder if you could upload your photos to Flickr and then link to them? Thanks Aby for the Flickr info! Here is a link to the picture if anyone is interested. I did draw sunglasses on my family’s photo so their faces are more anonymous! Super cute! Thanks so much for sharing your photos Jacqueline!